The achievement stands out even more so with the league boasting three England squad members, most of the County's top players and the former UK team champions 'The Beachdale.' 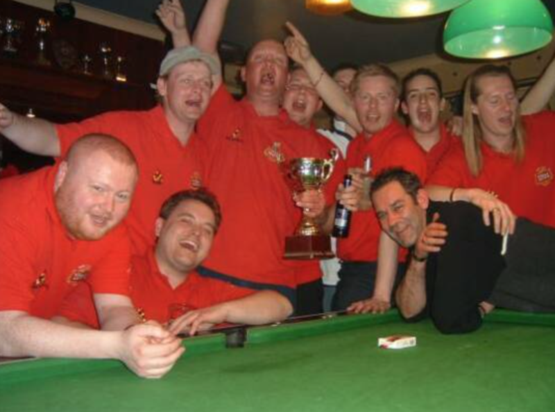 The Cherry Tree team were promoted to the Premier League only four seasons ago. In their first season they were able to consolidate their position amongst the elite, then they became a prominent force finishing in the top four in the following seasons, culminating in their championship winning fourth season. In a very close and exciting season The Cherry Tree team, of mostly home grown players, including Tony Wyatt (Landlord), Rob Taylor, Phil Oliver, Dean Yeomans, Dave Atherley, Tom Hodgkinson, Kev 'Bub' Burbidge, Dave Richards and Andy Hayes, proved too good for the rest of the Premier Division with fourteen wins, two draws and only two defeats. These included home and away wins against 'The Beachdale' team and fierce local rivals and cup winners 'The Friar Tuck' from Arnold. 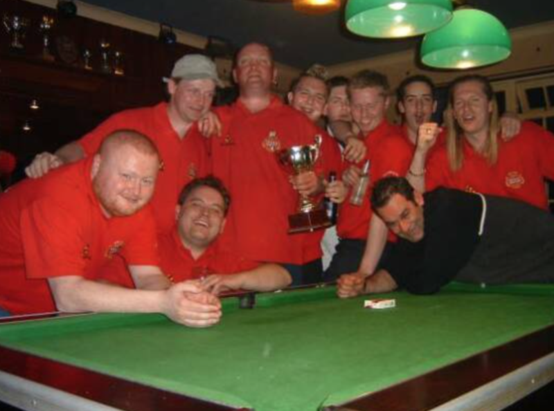 A coach party left The Cherry Tree on the 25th April 2003 to celebrate their win at the presentation evening held at the Sun Valley Social Club, Clifton. Backed by a large contingent of Cherry Tree supporters, the team received the loudest cheer of the night on receiving their much deservedtrophies. The winning didn't stop there. 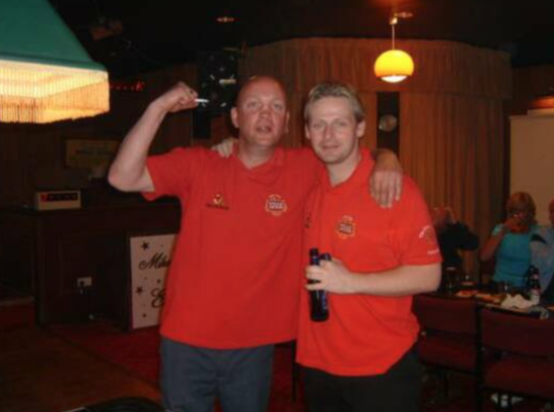 Other awards were presented to the side on the night.An equally remarkable win in the prestigious Notts Pairs, went to Tony Wyatt and Rob Taylor, who after scraping through the early rounds, saved their best form for the finals day on the 20th of April 2003. Rob and Tony won their Quarter-Final 3-0 against 'The Friar Tuck,' the Semi-Final 3-1 against a pair from 'Chesterfield Arms' and a 3-1 Final victory against former Pairs champions from 'The Beachdale.' Dave Atherley and Tony also collected 8 Ball clearance awards. 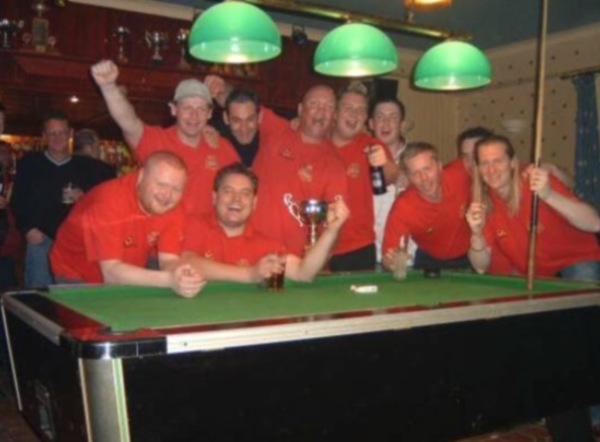 The team have now qualified for the UK Champions of Champions, which takes place in October 2003 at Great Yarmouth. Special thanks to John Brinkworth for his help with this page.